The National Labor Relations Board (Board), in Columbia University , has issued a 3-1 decision holding that graduate, and undergraduate, student assistants are common law employees within the meaning of the National Labor Relations Act and therefore are eligible to organize and bargain collectively under federal labor law. 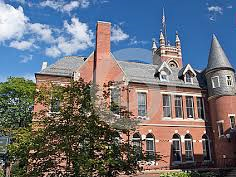 In so doing, the Board overruled its 2004 determination in Brown University. Board Member Miscimarra wrote a lengthy dissent, arguing that the educational nature of the relationship between student and educational institution should dictate that student assistants are not employees and therefore they should not be eligible to organize and bargain collectively. After much speculation, and following an invitation for briefing in December 2015, the NLRB rejected the Brown holding that graduate assistants cannot be statutory employees because they are “primarily students and have a primarily educational, not economic, relationship with their university.” The Board first noted that it has the statutory authority to treat student assistants as statutory employees. The Board applied a common law test and indicated that when student assistants perform “work,” at the direction of a college or university, for which they are compensated, a common law employment relationship will be deemed to exist and the students will be eligible to organize and bargain collectively. The Board indicated that the new test will apply to all student assistants, including graduate assistants engaged in research funded by external grants (and subject to the conditions of those grants). The Board also determined that the petitioned for bargaining unit at Columbia -- which included graduate students, terminal Master’s degree students, and undergraduate students -- constituted an appropriate unit and that none of the petitioned for classifications consisted of temporary employees who should be excluded from the unit. Finally, the Board remanded the case to the Regional Director for consideration of whether student assistants not currently performing their assistant duties should be eligible to vote based upon a continuing expectation of future common law employment. The Board’s decision was long the subject of speculation and has been anticipated by many commentators. In the wake of the decision, colleges and universities should anticipate increased organizing activity on their campuses and will have the obligation to bargain with units comprised of student assistants if they are recognized after an NLRB election. Given the breadth of the Board’s decision, and the potential units that could be petitioned for by unions, this decision has the potential to represent a significant challenge if broad units of student assistants are voted in and certified under NLRB procedures. consult with third party advisors whenever “in-house” fiduciaries lack necessary expertise. Colleges and universities may also want to confer with existing retirement plan managers regarding responses to questions which may arise at this time from employees about current retirement plans. Attorneys in Bond Schoeneck & King’s Employee Benefits Practice Group frequently counsel clients with respect to best practices for fulfilling fiduciary duties and avoiding ERISA liability. Often this takes the form of “fiduciary training” we provide to retirement plan committees and other plan fiduciaries. In addition, the firm’s Litigation Group has substantial experience in defending ERISA lawsuits. Tara Siegel Bernard, “M.I.T., N.Y.U. and Yale Are Sued Over Retirement Plan Fees”, NY Times (Aug. 9. 2016, accessed at http://www.nytimes.com/10/your-money/mit-nyu-yale-sued-4013b-retirement-plan-fees-tiaa-fidelity.html. We discussed some of the numerous issues pertinent to these types of claims in previous Memoranda – , for example: ERISA Fiduciary Guidance - Fairness for Defined Contribution Fees, and ERISA Fiduciary Guidance - Making a "Watch List" Work. In the private sector, most full-time (tenured/tenure track) faculty are currently considered “managerial” under the National Labor Relations Act (“NLRA”), making them ineligible for the protections of the NLRA, including the right to organize and bargain collectively. (Managers and supervisors are not considered “employees” under the NLRA.) Managerial status does not preclude an institution from voluntarily recognizing a faculty union, but it does prevent faculty from compelling a unionization vote under the NLRA. At the risk of oversimplifying, what makes most private sector full-time faculty managerial is their shared governance role. Adjuncts, or contingency faculty, on the other hand are often not included in the shared governance model. The Chronicle recently reported on a study presented at this year’s Association for the Study of Higher Education (“ASHE”) annual conference on adjuncts and shared governance. According to The Chronicle’s report, the Study examined more than 100 research universities in an attempt to quantify adjuncts’ involvement in governance. The Study found that at about two-thirds of the institutions studied, faculty senates were off-limits to adjunct instructors who had less than half the workload of a full-time faculty member. The remaining one-third of institutions were about evenly split between those whose faculty senates were more open to adjuncts and those whose senates were more restrictive in terms of access for adjuncts. Interestingly, these results are inconsistent with AAUP’s view, reflected in a report issued in late 2012 which recommended that eligibility for voting or holding office in shared-governance bodies should be the same for all faculty, regardless of their full-time or part time status. Because adjuncts, who along with others who constitute the “contingent” faculty that now comprise perhaps as much as 75% of higher education teaching ranks, do not participate in shared governance, they generally are not considered managerial under the NLRA. As a result, they are entitled to compel unionization through the National Labor Relations Board’s election procedures. And over the past several years, adjuncts at a number of institutions have actively pursued this path, often with a fair degree of success. For example, when adjuncts at Georgetown University voted to unionize this past May with SEIU Local 500, it purportedly raised the number of adjuncts in the District of Columbia organized by Local 500 to more than 75% (including adjuncts at previously organized American University, George Washington University, and public Montgomery College) . The potential long term impact of achieving this level of “density” success across all of D.C. is apparent. More recently, a similar "regional" approach was started by SEIU in Boston. Operating under the name Adjuncts Action, adjuncts at Tufts University voted to unionize this past September, and unionization efforts are underway at Northeastern University and Lesley University. This effort suffered a setback in late October when adjunct faculty at Bentley University in Boston voted 100-98 against unionization. (Objections to the election outcome have been filed and are pending.) Despite this setback, the trend appears clear and institutions should expect efforts to organize adjunct faculty will continue, and likely expand, across the country. While there are a number of factors that undoubtedly contribute to adjuncts’ interest in organizing, and economic factors are often prominently noted, in reality experience suggests that it may often be non-economic factors that ultimately drive the outcome. As with any other employee group, non-economic factors are often as important as economic factors when it comes to unionization. In this context, the more critical question may be how are adjuncts treated on their campuses? Are they welcomed and received by the rest of the campus community as important contributors to the overall mission, or not? Ironically, it can often be their relationship with their full-time colleagues that creates a tension and feeling of disrespect (or at least insufficient respect) which is a contributing factor in unionization decisions. In other words, an interest in securing an institutional voice like their full-time colleagues may drive the outcome as much as anything else. As noted, at most institutions examined in the ASHE Study, adjunct involvement in shared governance is limited and that voice does not exist. Yet, at least one faculty study has concluded that involvement in meaningful shared governance may be a more important indicator of faculty satisfaction than economic factors. There is little reason to think this conclusion is not as relevant for contingent faculty as it is for full-time faculty. The moral? Institutions should consider promoting the involvement of their adjuncts in governance matters. Not only may it result in more satisfied adjuncts, but it might also impact their status as possibly "managerial" members of the institution. 1. Review current electronic systems and databases to determine if there is capacity to capture protected veteran and disability status for both applicants and employees. If not, institutions will need to invest in new systems or methods to capture this required data. 2. Review current referral sources to determine if sources are providing qualified protected candidates; sources that are not should be eliminated and/or new ones should be added. This is a key component for meeting the 8% hiring benchmark under VEVRAA and the 7% utilization goal under Section 503. 3. Ensure all required notices are posted. Where notices are posted electronically, make sure they are accessible to all employees, including those with disabilities. For covered institutions that use electronic or internet-based application processes, an electronic notice must be posted and stored with the electronic application to inform job applicants of their EEO rights. 4. Review collective bargaining agreements to determine if the agreements include notice of the institution’s affirmative action and non-discrimination policies and request for cooperation. If they do not, institutions should send annual letters to each union, notifying the union(s) of the policies and requesting cooperation. 5. Review and update the list of all existing subcontracts, including vendors and suppliers, who should be receiving the mandatory written notice to subcontractors of the institution’s affirmative action efforts and request for cooperation. 6. Revise contracts and purchase orders to include the revised mandatory EEO language under both Section 503 and VEVRAA. 7. Make sure solicitations and advertisements include all the protected categories – minorities, females, disabled individuals, and veterans. OFCCP has indicated in recent FAQs that just using "D" and "V" is not adequate since abbreviations must be commonly understood by jobseekers. 8. Update recordkeeping procedures to incorporate the three-year retention requirement for specific records under Section 503 (documentation and assessment of external outreach and data collection analysis) and VEVRAA (documentation and assessment of external outreach, data collection analysis, and benchmarking records). 9. Revise self-identification forms inviting applicants to self-identify at both the pre-offer and post-offer stage of the selection process. All Section 503 invitations must use the new OFCCP form which will be posted on OFCCP’s website once approved. Under the Section 503 Regulations, employees must be invited to self-identify again every five years and reminded on an annual basis that they can voluntarily update their status at any time. 10. Adopt written reasonable accommodation procedures to ensure uniformity in processing requests. The OFCCP’s guidance for creating procedures (listed in Section 503 Regulations as Appendix B) can be used in developing such procedures. these duties exist regardless of whether a student has complained, asked the recipient to take action, or identified the harassment as a form of discrimination. if the incident involves potential criminal conduct, the recipient must determine consistent with state and local law whether law enforcement should be notified (but it should not wait - more than temporarily - for law enforcement to carry out its responsibilities). In addition to these provisions, OCR apparently expects an institution to maintain documentation of all proceedings (although OCR does not indicate how long). Institutions also must provide training regarding the grievance process to any employees likely to witness or receive reports of sexual harassment and violence (e.g. faculty, campus security, university administrators, counselors, health personnel and resident advisors). Training can be in person or on line for all staff responsible for recognizing and reporting incidents. Responsible persons are to report not only complaints brought directly to them, but also conduct they observe first-hand or learn about in some other way. The Resolution Agreement also requires SUNY to conduct an annual review of all complaints to identify patterns or systemic problems and to conduct annual climate checks. Simply because OCR required the above in its Resolution Agreement with SUNY does not mean it necessarily will require all of these items from every other institution, nor does an institution incorporating all of these items into its policies ensure that OCR will not require something more or different in a review of its policies. Nevertheless, the above should provide a useful checklist for institutions to consider.